Linda Battalora, teaching professor in the Petroleum Engineering Department at Colorado School of Mines, has been honored with Distinguished Membership by the Society of Petroleum Engineers. 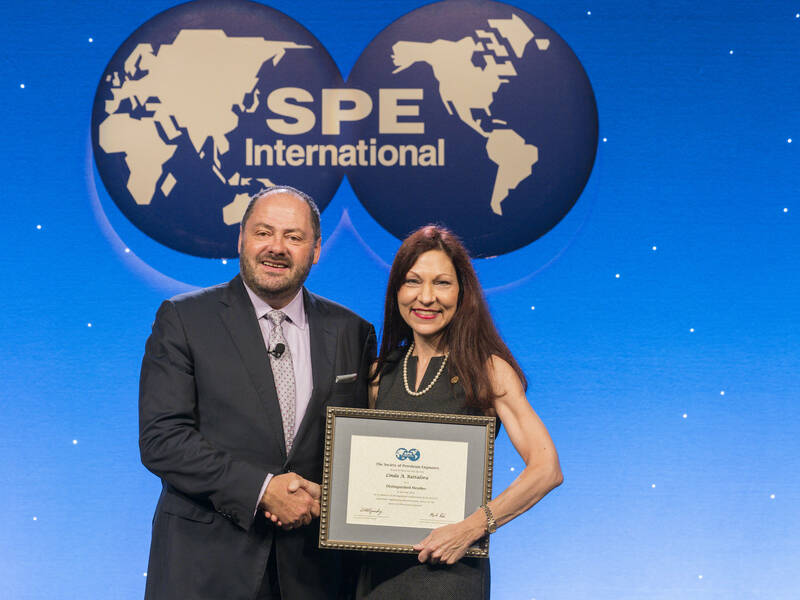 Established in 1983, the Distinguished Member award recognizes SPE members who have attained eminence in the petroleum industry or the academic community or made significant contributions to SPE. Battalora was selected for the honor in recognition of “her distinguished achievements in health, safety, environment, social responsibility and sustainable development in the oil and gas industry, writing numerous papers and working on many workshops and meetings for these topics,” according to SPE. Prior to joining Mines, Battalora served in various roles in the oil and gas industry, including operations engineer, production engineer, attorney and international negotiator for oil and gas developments. She is the chair of the SPE Sustainable Development Technical Section and a member of the Health, Safety and Environment and Sustainability Advisory Committee, Production and Facilities Advisory Committee, US Training Advisors Committee, Education and Accreditation Committee, and Women in Energy Committee. At Mines, she is a Payne Institute for Earth Resources Fellow and a Shultz Humanitarian Engineering Fellow. Battalora was also the 2015 recipient of the SPE Rocky Mountain North America Regional Distinguished Achievement Award for Petroleum Engineering Faculty and the 2014 recipient of the SPE Rocky Mountain North America Region Award for distinguished contribution to Petroleum Engineering in Health, Safety, Security, Environment and Social Responsibility. Battalora holds bachelor’s and master’s degrees in petroleum engineering from Mines, a law degree from Loyola University New Orleans College of Law and a PhD in environmental science and engineering from Mines. She received the award at the SPE Annual Technical Conference and Exhibition held Sept. 24-26 in Dallas.